Your home garden design can add a lot of value to your home. Are you ready to learn the five design tips to increase your home's value? Hang a welcome sign of a different kind with a standout paving stone treatment that ads value to your home. Homeowners are likely to get their money back on visible improvements such as those that are seen in the front yard. If your planter borders are looking tired, consider upgrading to a decorative stone trim to maximize first impressions. 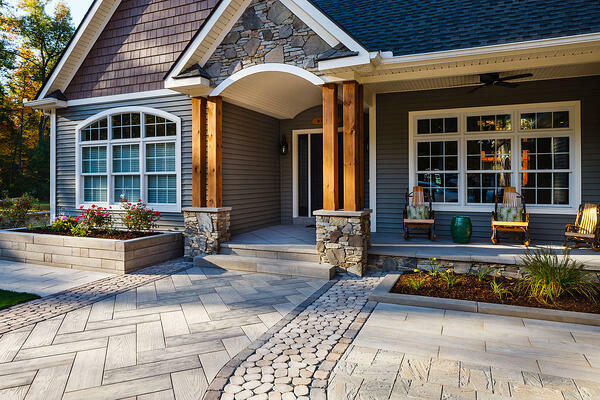 Make a grand entrance with a new walkway that not only adds a visual impact but makes your home more inviting. 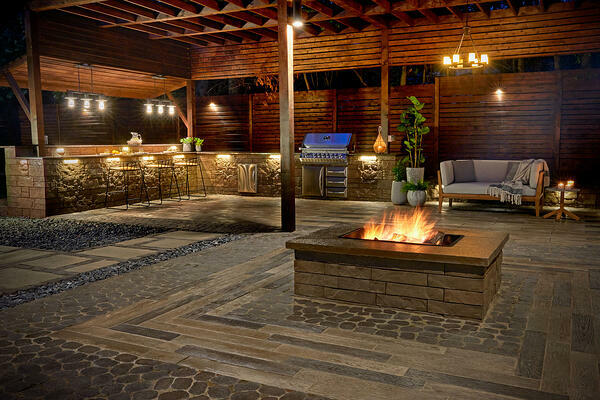 Wood’s good, but with maintenance-free concrete slab you can bet on a look that stands the test of time. So when thinking of projects that inject value into your home, remember the great outdoors and that you only get one opportunity to make a first impression. More and more people are looking differently at their outdoor spaces. 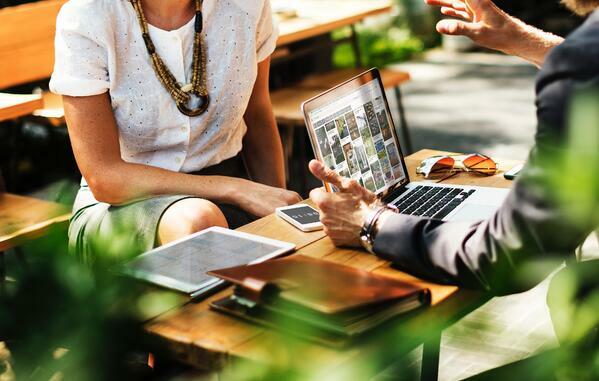 In fact, a recent survey by the American Home Furnishings Alliance found that 60% of people want to make their yards more relaxing and enjoyable. These improvements can also add value to your home, and give you a return on investment. You can keep it simple with having a defined entertaining area by using pavers with an outdoor dining room set. You can go all out with an outdoor kitchen, pizza oven, and wine fridge. A lush green lawn can be very appealing, but it can also look plain and simple. If you want to make your yard stand out, add plants with a lot of colors. Plants such as tulips or marigolds are easy to grow and maintain, and they will make your yard pop. Retaining walls usually have a practical purpose. They're used for erosion control and to create space for properties that have a sloped yard. They can be used with a stylish home garden design in mind, too. 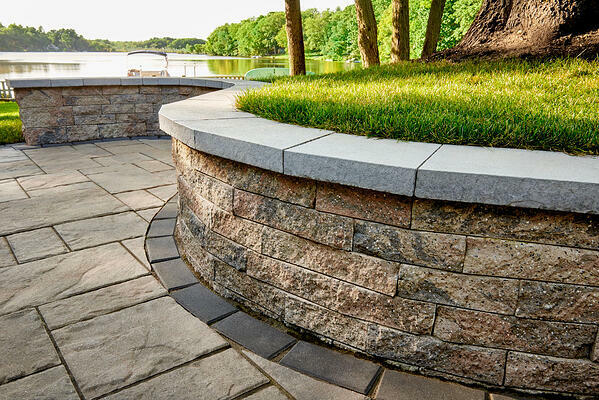 Retaining walls should blend in with the landscape design, and not stand out for the wrong reasons. Men and women have gathered around fire since the beginnings of human existence. That tradition continues in suburban yards all over America. You can create a beautiful addition to your home garden design that adds natural light and a warm ambiance. 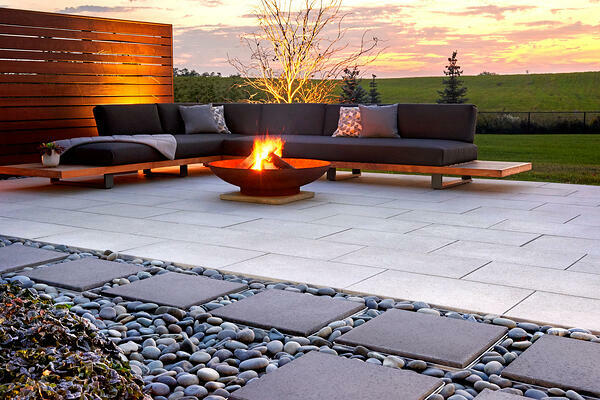 You'll want to decide if a round or rectangular design will fit well with the rest of the outdoor space. 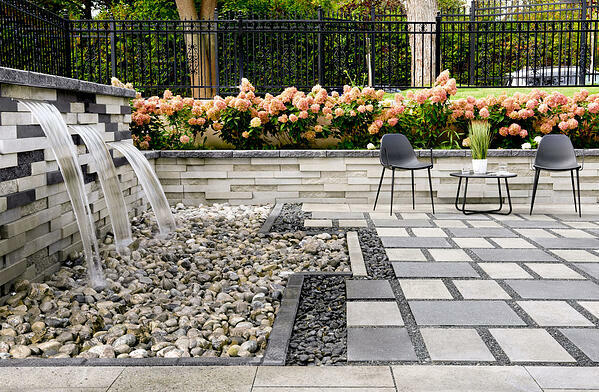 A well-designed yard can add value to your property and make it appealing to potential buyers. If you're ready to start designing your home garden, take this Backyard Quiz. You'll get a better understanding of what your design style is. That's the first step in creating a unique and consistent design for your yard.